The Red Sox could eschew big moves this winter and instead making lower-profile one-year signings in January or February, writes Brian MacPherson of the Providence Journal. Dan Haren, Mike Napoli, Brandon McCarthy or Edwin Jackson are players Boston could look to sign to "pillow contracts" if those players couldn't find acceptable longer-term deals elsewhere. Team president Larry Lucchino didn't comment on Bobby Valentine's controversial interview on WEEI radio, telling ESPN Boston's Joe McDonald that he hadn't heard the interview and that "talk shows are talk shows." Lucchino did agree with Valentine's description of the Red Sox season as "miserable." Lucchino confirmed owner John Henry's statement that Bill James will have a larger role with the team. James has served as a senior adviser to the Red Sox since 2003. "He's never been gone, but he will be even more active than he's been in recent years. He will be more centrally involved in the evaluation process," Lucchino said. The Mariners made the right move in hiring Eric Wedge as manager over Valentine in 2010, writes Larry Stone of the Seattle Times. Valentine was one of several candidates who interviewed for the job and there were rumors that Ichiro Suzuki was pushing for Valentine to be hired, though this was denied by both Ichiro and the Mariners. Poll: Who Will Win The American League East? I would take a pitching rotation of Lester, Buccholz, Haren, McCarthy, Doubront for 1 year deals or maybe 2 with a option for 3 for Haren. I wouldn’t mind that. Sign Napoli at 1st, maybe Hunter for right, Ross in left, maybe trade Ellsbury. I would like to see them struggle the year with the kids. Brentz, Bradley Jr. Iglesias, Middlebrooks, De Larosa, Lavarnway and Sands. Bogaerts/Webster/Barnes/Rodriguez need more seasoning, but perhaps they could contribute next year. Brentz and Bradley aren’t ready. Signing a Hunter, Haren and maybe some other one year deals would keep a competitive feel while the kids get ready. MacPhereson left out Sanchez in his list. I would prefer him over any on that list, though it would take 3 years probably to grab him. Agreed on all the major prospects, other than Lavarnway.. None are ready and Brentz probably never will be more than a backup anyway. Other than Bradley, they really don’t have a so called “starter” OF prospect above AA unless Kalish all of a sudden figures out a way to stay healthy for an entire summer. You’re overlooking Lackey. He’ll be back in the rotation next season, barring another injury. I would be shocked to see Jackson in Boston, and to accept another one year deal. Hasn’t he proved himself worthy of a long term offer from somewhere? Maybe a return to LA? The problem is that the Sox rotation is partially set for next season with Lester, Buchholz, Lackey, and Doubront, barring any trades, etc. And with 3 of those 4 already locked into long term deals, I’m not sure if it’s wise to lock up a 4th starter to a long term deal at this point, unless that guy is an proven ace. I have no problems with Jackson as a pitcher. Not really sure that he’d be interested in a 1-2 year deal. But if he was available for one, that might work for the Sox. That was my thought exactly, I just don’t see him doing a one year deal again. 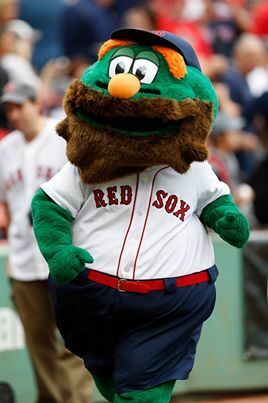 Sure he would fit in for the Red Sox, but not on a three or four year deal he may command. Agreed. I think that EJ is looking for a long term deal. And I don’t see the Sox being interested in giving a middle of the rotation (probably a #3 or 4) starter a 3-4 year deal, given that 3 of the guys in the rotation are already locked up long term. I personally think that the Sox are going to want to try to be more flexible in filling out their rotation, unless they can get a hold of a true top of the rotation ace (not that there are any to be had, mind you). Its crazy how the Red Sox have ended up. How the mighty have fallen…. Honestly, am I the only one man enough to admit that I needed to look up the word ‘eschew’? By the way, it surprising has nothing to do with food. I think that Valentine WILL be back; it was either the players or him, and Cherington chose Valentine. As for getting someone like Edwin Jackson, I can’t see him accepting yet another one-year contract; a two–year contract could entice him, however. Don’t hold your breath on Napoli. He’ll want more than the Sox will ever want to pay out. Jackson or Haren are more realistic.